I was so excited when I got this sweet little book in the mail. 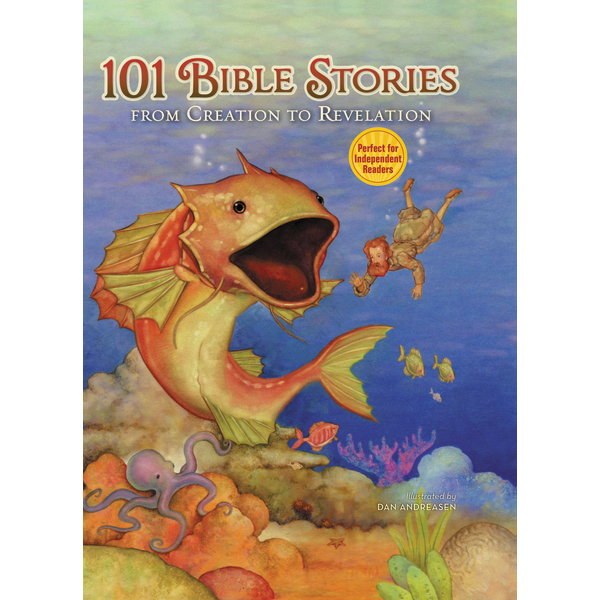 It has 101 Bible stories, hitting all the highlights in the Bible. It is hard-bound and about the size of a Bible, only thinner. The stories have been simplified of course, each one fits on one page. I would not say everything is 100% true to the Bible. For example, the pictures portray Jesus as having long hair, which we do not believe to be true. Also in the story of Shadrach, Meshach and Abednego, it says the king saw a fourth man who “looks like a god.” But the Bible quotes King Nebuchadnezzar as saying “the Son of God.” Although these accounts aren’t entirely accurate, it wouldn’t keep me from reading to my children, explaining as I go. The problems are minor and don’t take away from the good this little book can do. I really love the pictures. They are clearly drawings, yet don’t have that cartoonish look that so many Bible story books have. We’re so glad we have this book and are enjoying reading it together! This is a sequel to Moonlight Masquerade, which I read last year and loved! However, this book stands alone, it just contains a few ties to the previous book. Jessamine is very young, but has already experienced heartbreak when the man she thought loved her, decided he was a better fit for another woman. Even though she has no intentions of falling in love, Jessamine and her close friend Megan are enjoying a “season” in London. They are hoping to meet eligible young men and fall in love, but at first it seems hopeless! They find themselves despairing at the stuffy, proper atmosphere, which causes a first meeting with Lancelot Marfleet. Lancelot, from a very wealthy and prominent family grates on Jessamine’s nerves. However, she soon finds he’s not like all the other formal English gentlemen but refuses to admit she likes him. As the story unwinds, there are complications. 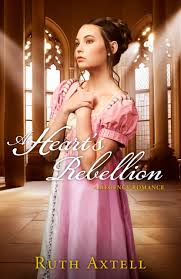 Jessamine goes against her better judgment and finds herself in a very immoral and dangerous situation. Of course, Lancelot comes to her rescue, but can he ever love her after learning what she’s done? I don’t read too many biographies or memoirs, but I recently read one of Amy Clipston’s Amish novels, so this one intrigued me. Amy is a Christian fiction writer, and her dream begins to be fulfilled during the darkest days of her life. Her father suffers a stroke while she is still in college, giving her young adult life much difficulty. During those days, she meets her soul-mate Joe, and the story is sweet but still has very many turns ahead. Just a few years into their marriage, they realize Joe has a kidney disease. But before too much time goes by, he receives a new kidney and they hope life can gain some stability again. Only it seems life will stay wrought with stress and toil for a while as his body rejects his new kidney. It takes several more years before they can once again find peace. As Joe’s body has to undergo dialysis, he is weak, irritable and the entire family hurts and suffers. Not only is there poor health to deal with, but Amy finds herself struggling to parent their two sons, while working full-time to provide health insurance and to pay the bills. A publishing company gives her a contract for an Amish series. This gives Amy an escape from the stress that surrounds her, and also helps provide extra income. Amy is determined to be a kidney donor, but is disappointed to find she is no match for her precious husband. So they sign up through a paired donation program and are accepted. After a few months, there is a match! Miraculously, they are paired with another couple. Amy’s kidney goes to a suffering woman whose husband donates his healthy kidney to Joe. It is a precious thing, and the couples are able to meet and talk while in the hospital. This is a very sweet story and anyone would enjoy reading it. Have I ever mentioned I LOVE biblical fiction? I really do! It’s so fun to see the truth of the Bible, interwoven with the unknown… what might-have been. This story is incredible. It’s so very eye-opening to the duties of the high priest in the work of the Temple. It’s horrifying, seeing all the works of Jezebel, and her wicked daughter Athaliah. It’s so intriguing to read of Jehosheba, the heroine of the story, and her faith in God to hide the young prince Jehoash from the queens who would take his life! Meet Jehosheba, the adopted daughter of Athaliah. She has been raised to be a political success, and will soon become a priestess in Baal’s temple, forced to commit mutilating actions on her own body, and others’, as well as other disgusting and mis-guided forms of “worship.” But as Judah is attacked, and her forces almost wiped out, Jezebel and Athaliah come up with a new plan for Jehosheba. She will be forced to marry the high priest, and win his confidence, thus underhandedly bringing Baal into the place where God should be. She must not fail! Jezebel and Athaliah have ordered the killings of many of their own children, so Jehosheba knows she must make them proud. Meet Jehoida, the new high priest. He is much older than Jehosheba, but after much prayer and consulting the Urim and Thummim, he agrees to marry Jehosheba. What Jehosheba doesn’t count on is Jehoida’s love, and most importantly, the love of the true God. The God her ancestors worshipped. Jehosheba is put in danger time after time. 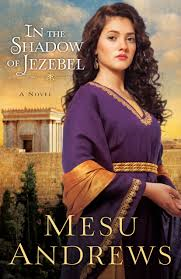 She learns to worship and serve the one true God, but she must make Athaliah believe she is still doing her bidding. As they are “wise without lies” throughout the story, you will see the plan of God coming to action, and His amazing protection prevailing! You will love this book! I highly recommend it! This was a very sweet read. It is written for Dads of Daughters. The authors write that of course you love your daughter so much, but where do you begin to pray for a young lady you do not understand? 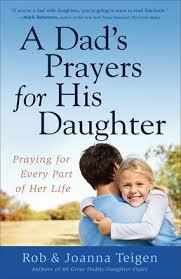 There are 88 life situations given, along with Scripture and a model prayer for that area of her life. I was not expecting the format for some reason. The title of the book says it all, though! It was difficult to just read it through, but it would make a great reference book. When my daughters are faced with a difficulty, I can grab this book and find the matching section, read the Scriptures and model prayer for guidance. One thing I really loved about this book: In the model prayers, there is usually a reference to the Dad himself being the example in that area that he should be. For instance, if his daughter is struggling with being discontent, the father should pray that he himself would be content, and be a good example in that area. Another thing I really loved: It could be called Parents’ Prayers for Their Children, as most of it is not necessarily for Dads, or Daughters.